Bacon ipsum dolor amet doner alcatra picanha chuck ham ham hock jowl landjaeger. Fatback jowl ham, frankfurter cupim chuck doner cow. Tail drumstick alcatra kevin shank jowl pork chop fatback sirloin swine. Shank bresaola prosciutto, shoulder sirloin meatloaf short loin capicola jerky chicken pork belly doner. 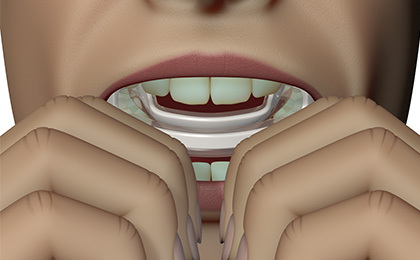 The Myosa® for TMD appliance is designed to assist in the diagnosis of jaw joint (TMJ) disorder and should be fitted and adjusted by your doctor to the correct therapeutic bite. Once adjusted ensure a tight fit but make sure the appliance can be comfortably removed and replaced into the correct position. Do not clench or grind your teeth on the Myosa® for TMD as this will cause premature wear or splitting. 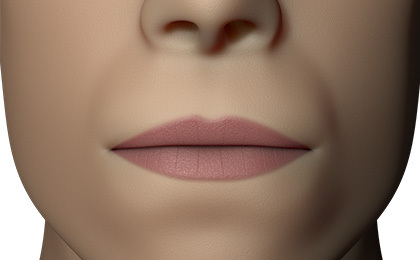 When in place you should keep your lips together and although it is not necessary to have your teeth closed, you should practice moving the lower jaw into the bite your doctor has set for you. 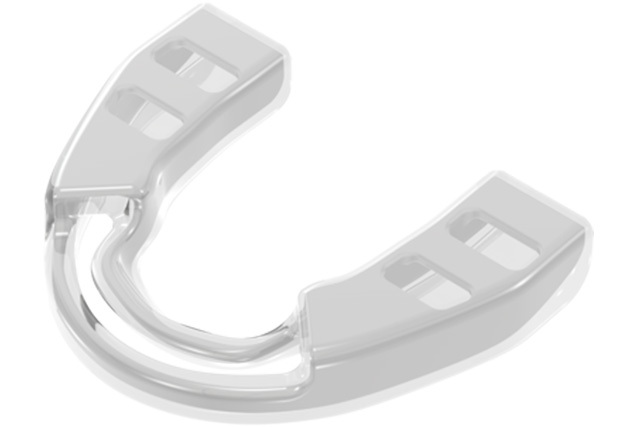 Prior to using the Myosa® for TMD patients should visit a medical or dental practitioner for evaluation of the jaw joint (TMJ) disorder. This evaluation will determine the potential benefit of the appliance in conjunction with other treatments. The Myosa® for TMD serves as both a diagnostic tool as well as initial treatment and can be used to determine if symptoms are directly related to causes of TMJ Disorder. Use the Myosa® for TMD during daily activities. For patient comfort and unimpeded speech. Base available in 6mm and 4mm versions. For jaw joint (TMJ) decompression. Hold the Myosa® with the tongue tag facing up. Place the Myosa® into your mouth. ® and allow it to guide your jaw forward. Make an effort to keep the lips together and breathe through the nose. Clean your Myosa® appliance under warm running water every time you remove it from your mouth. Use Myoclean™ tablets to correctly clean twice every week. Ask your doctor or dental therapist about Myoclean™, the recommended cleaning agent for all Myosa® appliances. 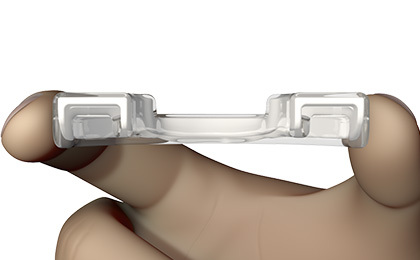 Downloadable pdf document for a detailed description of your Myosa® for TMD. IMPORTANT: CONSULTATION WITH A MEDICAL PRACTITIONER IS ESSENTIAL TO CORRECTLY EVALUATE YOUR CONDITION.